Despite the supporting presence of Bryan Cranston, I initially sat down to watch the new Amazon original series Sneaky Pete with limited expectations and the solid but unremarkable pilot episode pretty much confirmed my suspicions that this would be a good, fun show but one that would fade away once I was done watching. Interestingly, I was reminded of another show that I had a similar preconceived notion of only to be proven wrong with an outstanding six season run, that being the FX original Justified. 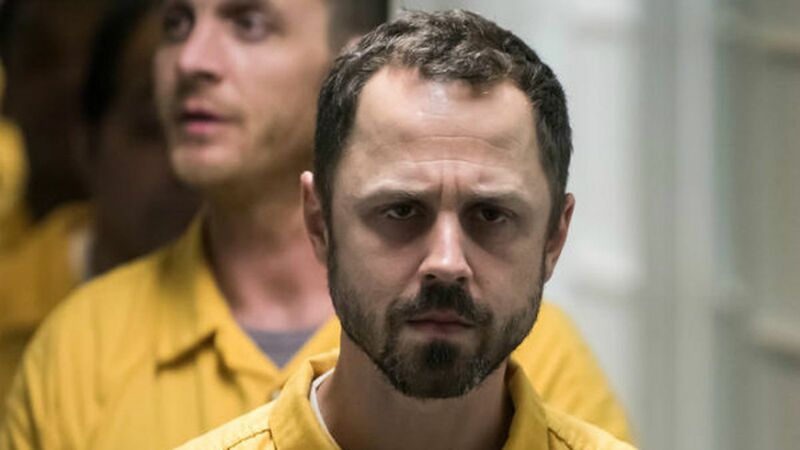 No, Giovanni Ribisi is no leading man in the vein of Timothy Olyphant's Raylen Givens, but something about the style of the storytelling brought me back to that show, and then I started noticing some other similarities too, those being members of the cast. 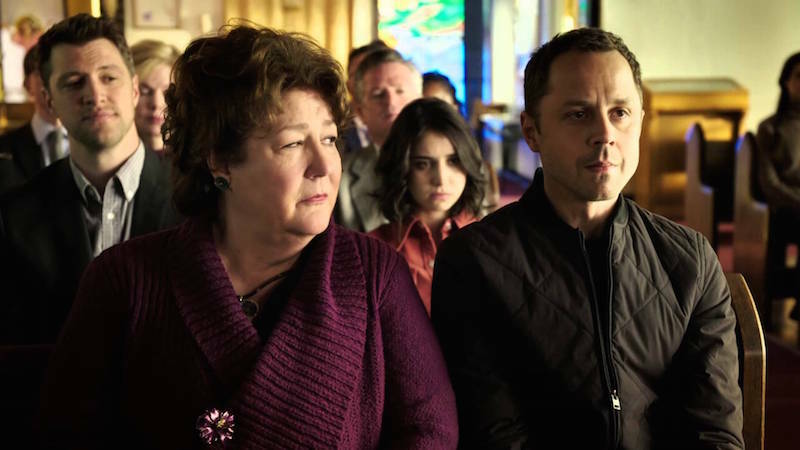 Jacob Pitts and the outrageously talented Margo Martindale, two actors that appeared in Justified, are vital pieces of Sneaky Pete, so the tonal comparison combined with the familiar faces had me wondering if there was more to this feeling I had than meets the eye. It wasn't until a few episodes in that I noticed the name Graham Yost in the credits, the creator of Justified, and I couldn't help but smile because right around the time I finally put these pieces together, I was becoming hooked on Sneaky Pete. If it can have a run like his former show and get better and better with each season as well, Amazon will have a hit on their hands, and the announcement of a second season that already came down gives me hope. The show tells the story of a con man named Marius (Ribisi) who is being released from prison but has a former life worthy of hiding from, one involving a violent gangster named Vince (Bryan Cranston), so he assumes the identity of his cellmate named Pete and returns home so to speak, to Pete's family of which he was estranged for 20 years since he was a child. The family is filled with terrific characters that are all fleshed out and interesting by the end of the first season, played by Marin Ireland, Shane McRae, Libe Barer and the aforementioned Jacob Pitts, but the real stars of this whole thing are the grandparents, played by Margo Martindale and Peter Gerety. Some of the best scenes from these ten episodes involving those two showcasing power performances. I mentioned before that I hope Sneaky Pete gets better and better with each season in the way Justified did, but rather than just hope I can confirm that the first season just gets better and better as it goes along, with a penultimate episode is probably the peak of it all, followed by a satisfying and entertaining finale. This is a well written, well acted drama with plenty of lighter moments mixed in, which is to be expected when you cast Ribisi in the lead. With so much television to sift through these days, what with every conceivable network and streaming service creating their own original programming, it can be difficult to keep up with all the options worthy of your time. I highly, highly suggest you give Sneaky Pete a look, and after you get a few episodes into it the desire to binge will hopefully hit you like it did me. Sneaky Pete is streaming on Amazon Instant Video, free for all Prime members.